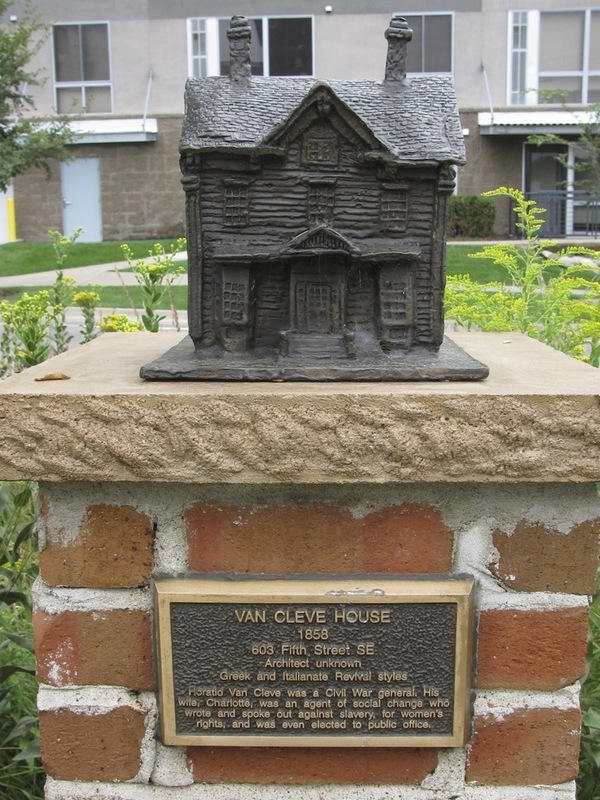 The Van Cleve house, owned by Horatio and Charlotte Van Cleve, was placed on the National Register of Historic Places in 1976 for its architectural and cultural significance. While Greek Revival in its shape, the house’s symmetrical design, classical corner pilasters, bracketed eaves and paired front doors are Italianate. The porch, which was originally enclosed, was rebuilt in Craftsman-style. 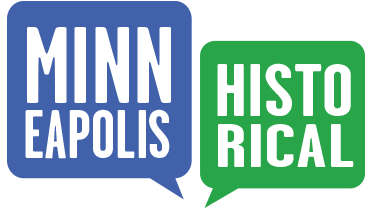 Although neither Van Cleve had any direct connection to industry as so many of the area’s early residents did, both were important cultural and moral leaders, in St. Anthony and throughout greater Minnesota. Horatio was a surveyor, farmer and Civil War general whose accomplishments were somewhat eclipsed by those of his more famous wife, one of the era’s few married women to have a public life not based on her husband’s position. Something of a contradiction, Charlotte believed women belonged at home, serving their families, yet she spent her middle and later years teaching school, organizing aid for unwed mothers, lobbying politicians on women’s issues and even running for public office. Although Charlotte may have longed to stay home, the family needed her income. 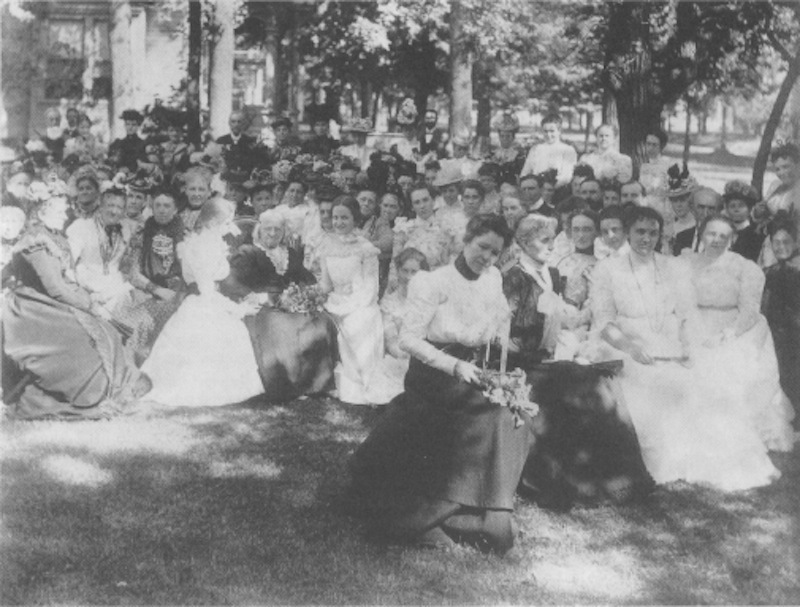 Despite Charlotte’s controversial activities, Charlotte was well-loved. 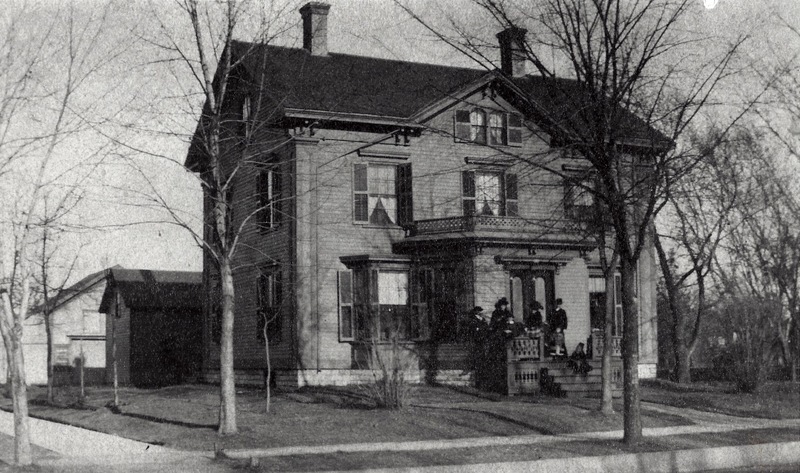 The Charlotte Van Cleve School, built in her honor in 1895, stood on the corner of Lowry Avenue and Jefferson Street, and in 1891 the Minneapolis Park Board renamed a park at 15th and Rollins Avenues SE for the Van Cleves. But it wasn’t only Charlotte and Horatio who were well-loved. So was General Van Cleve’s horse, Bessie. The general and Bessie were wounded at the Battle of Stone River in Tennessee. Both recovered from their injuries and returned home, where Bessie became Charlotte’s carriage horse and a favorite of the Van Cleve children. When Bessie died at age 20, she was buried behind the Van Cleve house. According to local legend, the grieving Van Cleve children decorated her grave with wreaths of carrots. 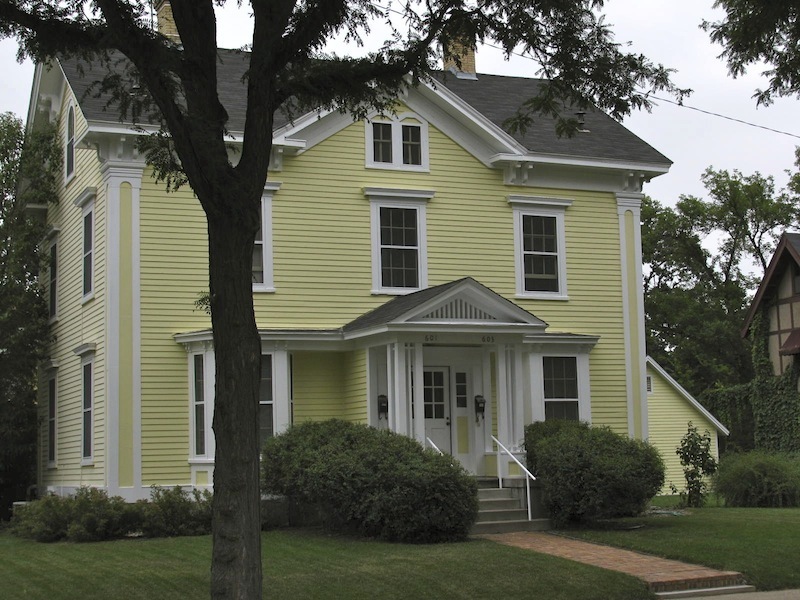 Marcy-Holmes Neighborhood Association, “Van Cleve House (1858),” Minneapolis Historical, accessed April 22, 2019, http://minneapolishistorical.org/items/show/78.